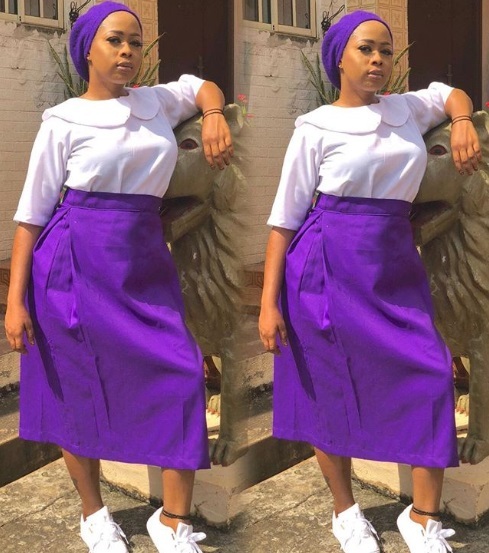 Beautiful and young wife of Alaafin of Oyo, her royal majesty, Olori Badirat Olaitan Ajoke Adeyemi has stunned in her school uniform. Queen Ola, who recently welcomed went back to her old school 11 years after graduating. Her visit is part of her birthday celebrations and she will be giving the girls a talk on s*x education.